Graduations of all type have taken place at this time of year during which this is being written; celebrations of milestones, accomplishments and dreams come true. My oldest grandaughter, Isabelle, graduated from the Raleigh Collaborative High School. It was a tiny school, only twelve children. There were only four students graduating. Our whole family attended the ceremony. It was a wonderful event. Two of the three teachers spoke, the principal, Doctor Anderson, spoke and each family had a family member (Isabelle chose her grandfather, my hubby) speak. Then, each student showed a slide presentation of their life and also gave a short speech. All of them were very nervous. There were about sixty people in the audience. Isabelle was gracious in her talk, thanking her entire family for their support and including us and stressing how blessed she felt to be a part of such a loving family. My heart almost burst. We are all so very proud of her. She was the first presenter. The last student to speak was a young man, a man we knew to be twenty years of age, who was slight in stature and appeared very timid. He read his speech, hesitating over the pages and stumbling through several of the phrases. He ended and then he began to walk off the stage when he suddenly stopped and said, "Oh, I forgot something." He returned to the dais, looked out at the audience and especially towards his family and raising his fist shouted, "I did it." I wasn't the only person there with tears in my eyes. As I write this I still feel weepy with the joy of his accomplishment. My friend told me that when we arrive in heaven she thinks the question Saint Peter will ask us is, "Did you appreciate and celebrate all God gave you. Were you joyful and grateful?" Was I? Have I been? Really? I began to journal. 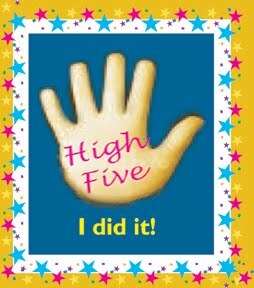 How many times in my life have I shouted, "I did it!" I have not, I have not claimed victory. I have downplayed my accomplishments more often than I have celebrated them! 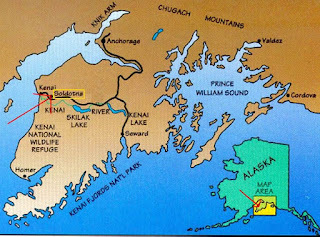 Right now I am in the process of preparing for an outward bound type of trip to the Kenai Peninsula in Alaska. Isabelle has been accepted to the Savannah College of Art and Design. It's the only school to which she applied and she will be attending as a photography major. It is her passion. I am providing her the opportunity to photograph a part of the world which with neither of us are very familiar. I am anxious. I've been gathering all the gear necessary for this expedition, things I have rarely packed, if ever. I recognize I am blessed and lucky to be able to do this and to share this time with one of my favorite human beings but it is way outside of my comfort zone and so I have been quite nervous. 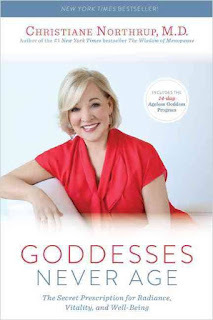 Recently I finished Christian Northrup's book, Goddesses Never Age. Don't miss this book. I truly believe that any woman over the age of eighteen, maybe even younger, should be required to read this marvelous guide for a woman's life. If you don't get it and you're a woman reading this, at least turn the title into one of your affirmations and claim it! Towards the end of her book, in the middle of this trip's preparation, she writes about the healing effects of being in nature. Isabelle and I will be in the thick of nature and Dr. Northrup's advice helped calm me. Several of my readings lately, including Dr. Northrup's book has stressed the life changing practice of letting go of our own agendas and attempting to live a life within the Divine flow. You've probably heard it, "Let go and let God." It's a life long practice. It takes patience and quiet and setting aside our egos. For me, I feel like I'm right there, following the "path" God seems to have laid out and then I'm off doing my own thing again, taking back control of my life and truly believing I have control of it. Ha! 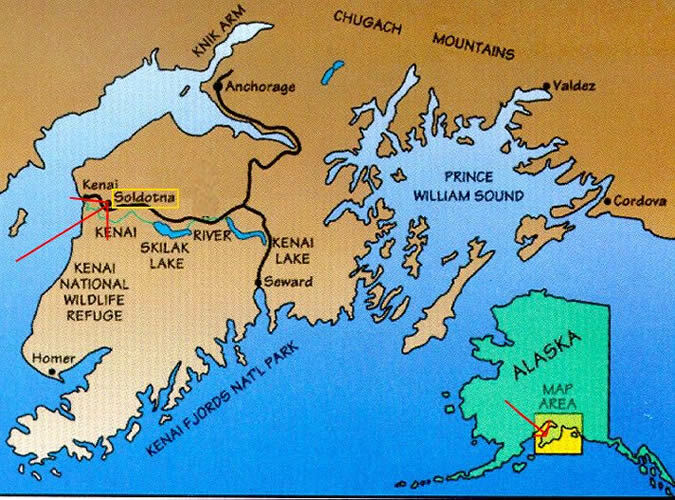 What if, however, because of my time with the Lord, my prayer time and my meditation time, I am actually being led to this Alaskan experience? What if this is a place where I will learn and grow and heal in a way beyond my wildest dreams? If I could truly believe that would I still be anxious or would I be excited? After graduation and pondering the accomplishments of these four young people, I sat with my journal and wrote down several things in my life of which I feel very proud. I began with my education and then listed this wonderful family my husband and I have created. I went on to list several charity projects I've spearheaded and the positive, joyful manner in which I went through breast cancer. It wasn't a long list but I felt good about it. Then I sat back and I read it over. I read it again and I thought, "If I didn't know this woman and I read this list of accomplishments, I'd say, 'Wow, this is a remarkable woman. I'd really like to meet her.'" Then, I thought of all the people in my life who, like myself, don't always see their amazing selves as others might see them. There are so many who don't really claim their accomplishments, especially the women. What if each of us took some time to write down several things of which we are proud? I encourage you to do this exercise. Then read them like it's about someone you do not know. I'll bet you'll find yourself saying, "Wow! This is a remarkable person. I'd really like to meet her or him." I'm expecting to add my Alaska outward bound trip to my list when Isabelle and I return and with great joy and gratitude I hope to shout from the dais of my stage, "I did it." Pretty good post.I have really enjoyed reading your blog posts.